The Archers that crewed The Mary Rose. 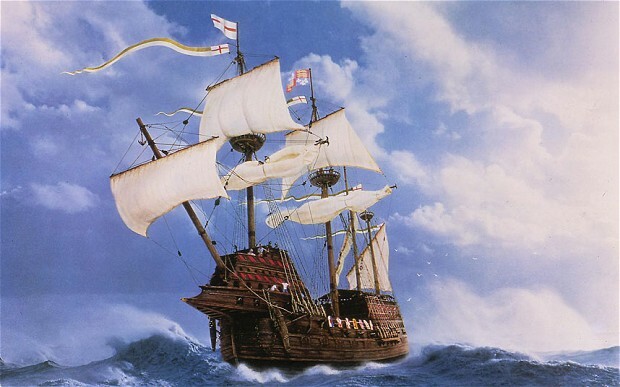 When the Mary Rose was raised from the Solent in 1982 the skeletons of 92 men were recovered. Historical sources record that a company of longbowmen were on board when the vessel sank, but until now it has not been possible to isolate which of the skeletons might have belonged to this group. Now Sports scientists, osteologists and modern technology have joined forces to help identify the archers that crewed the Mary Rose., Henry Vlll’s flagship sank in l545. Nick Owen, a Sport and Exersize Biomechanist from Swansea University, has been examining bones from the wreck to see if any show signs of the repetitive, strenuous actions associated with archery.. 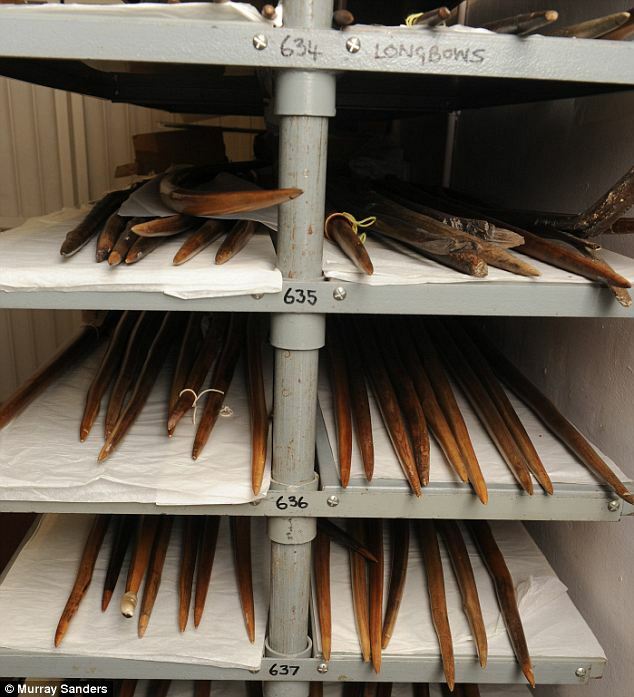 The Mary Rose Trust contacted Nick to help with this research because he works with modern elete athletes’, Nick said that the Longbow archers were the elete athletes of their day. They used very powerful bows, some of which required a lifetime of training and immense strength as the archers had to pull weights of up to 200lbs’. The Mary Rose Longbows. Courtesy of Murray Sanders. In order to determine which bones might show the effect of regularly firing heavy bows, Nick set out to establish where the greatest bilateral difference in forces acting on the muscles would occur. Modern- day longbow archers were brought into the lab and marked up with motion-capture equipment to see exactly which parts of the body were used when firing the bows. This helped to establish the radius needed. The next stage of the project will see the analysis of DNA from the skeletal material, to help match the bones more exactly, and to shed light on the individuals who made up the ill-fated flagships crew. Watch this space for more about the Archers of the Mary Rose.